The blue crab is the most valuable commercial species found in the Chesapeake Bay and an important species throughout the Mid Atlantic region. 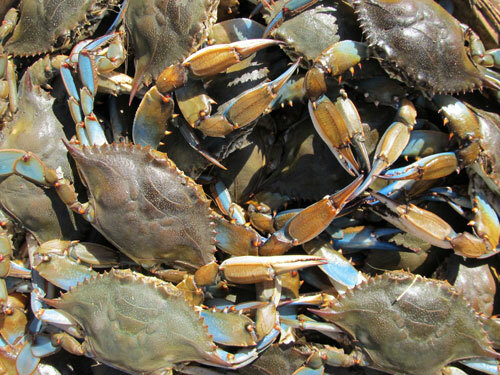 Blue crabs are harvested commercially with pots, trotlines, scrapes, or dredges. After harvesting, crabs are stored in wooden baskets, and rushed to seafood processors. In some areas, watermen harvest shedder or peeler crabs which are kept in tanks until they shed their shells. After molting, soft shelled crabs are sold locally or shipped to markets.